Cat-1 A First class Engineering Degree in Computer Science/ Electronics and Communication/ Information Technology with minimum 60% marks in aggregate from any recognized Institution/University with one-year post qualification experience in the field of Linux Operating system, Qt Development environment and acquaintance with C++, Net, SQL & SCADA software domain. Cat.2 A First class Engineering Degree in Electronics and Communication/ Electrical & Electronics/ Electronics & Instrumentation with minimum 60% marks in aggregate from any recognized Institution/University with one-year post qualification experience in the field of embedded hardware design, testing, embedded controllers and firmware development. Candidates having experience in energy meter design will be preferred. Cat.3 A First class Engineering Degree in Computer Science with minimum 60% marks in aggregate from any recognized Institution/ University with one-year post qualification experience in the field of embedded firmware development, design & development of front end applications and expertise in C & C++ is essential. Candidates having knowledge in computer software development life cycle will be preferred. Cat-4 A First class Engineering Degree in Electronics and Communication/ Electrical & Electronics with minimum 60% marks in aggregate from any recognized Institution/ University with one-year post qualification experience in the field of Testing/ Maintenance of Computers/ Electronics & Communication systems. Cat-5 A First class Engineering Degree in Electronics and Communication/ Computer Science with minimum 60% marks in aggregate from any recognized Institution/ University with one-year post qualification experience in the area mentioned below: a) Basic Networking Concepts. b) TCP/ IP Protocol, Router, Switches & LAN, WAN Technologies. c) Operating System – RHEL, Windows server. A First class Diploma in Engineering with at least 60% aggregate marks from any institution recognized by the State Board of Technical Education in Electronics and Communication/ Electrical & Electronics & Electrical Engg. Should have one-year post qualification experience in the field of Testing/ Maintenance of Computers/ Electronics & Communication systems/ Antenna maintenance. Selected candidates will get Technical Officer : 23,000/-, Scientific Assistant – Rs.17,654/- from the organization. Rs. 200 for general and OBC students. 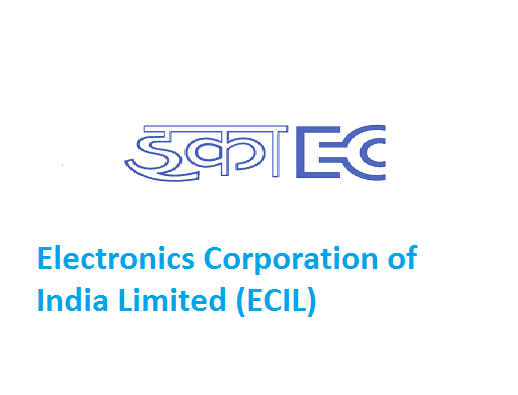 Look around for “ECIL Recruitment 2019 for Technical Officer & Scientific Assistant Posts“.